October 18th, 2018 - Does My Bomb Look Big In This? 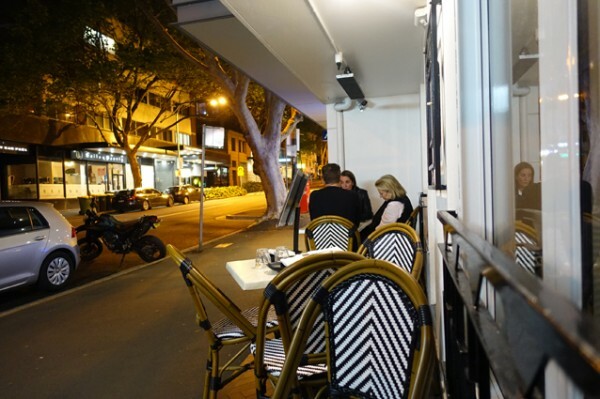 Macleay Street Bistro has something most Sydney restaurants will never achieve – thirty-five years of history. 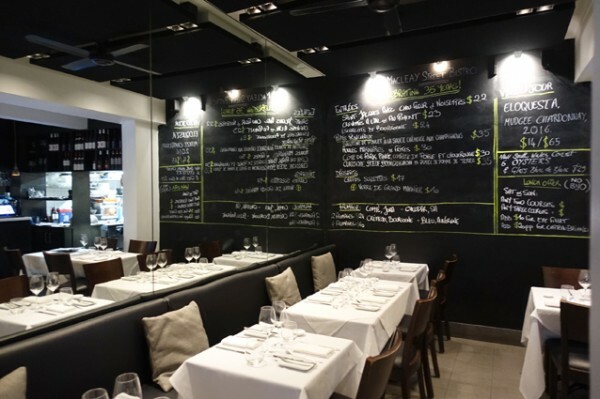 While that time period has seen many changes to both the restaurant – which received its current set of owners, Phillip Fikkers and Mark Campbell, in 2013 – and the surrounding area, the French bistro theme has remained a constant. 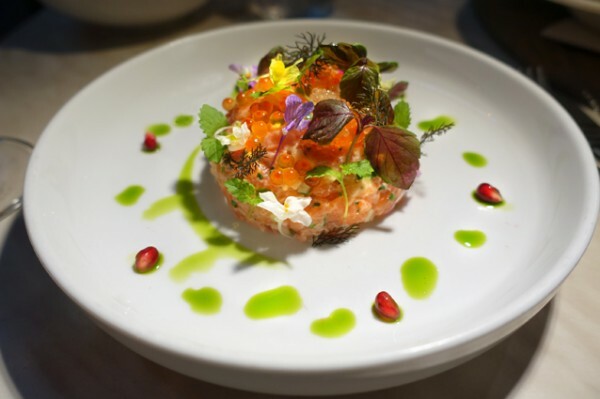 Despite it ostensibly being well into spring, Macleay Street Bistro has taken a slow journey meander out of winter. 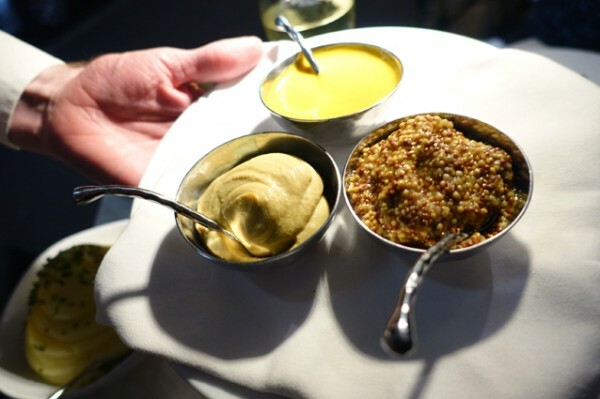 Accentuated by some classics from across their thirty-five years, I found them still serving a Late Winter menu deep into October. 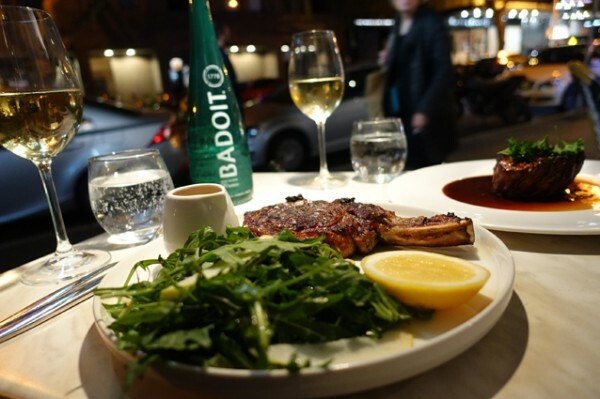 After two weeks of non-stop rain, it seemed a prescient choice by Chef Marco Costa, who joined the Macleay Street Bistro team about a year ago. Luckily for my visit, a pocket of sun gave us our first al fresco dining opportunity of the season. 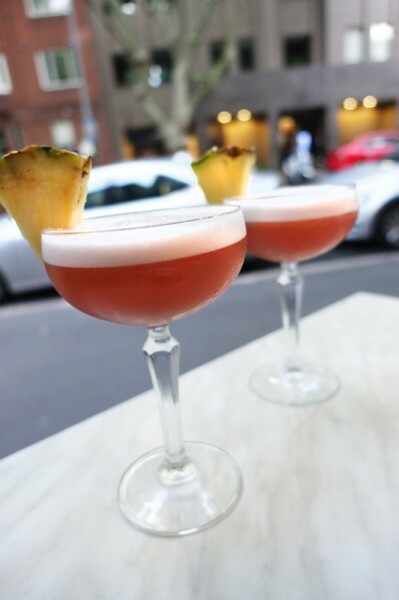 We seized upon it and took our opening French Martini ($18) - Chambord, pineapple and vodka garnished with fresh pineapple – outdoors. 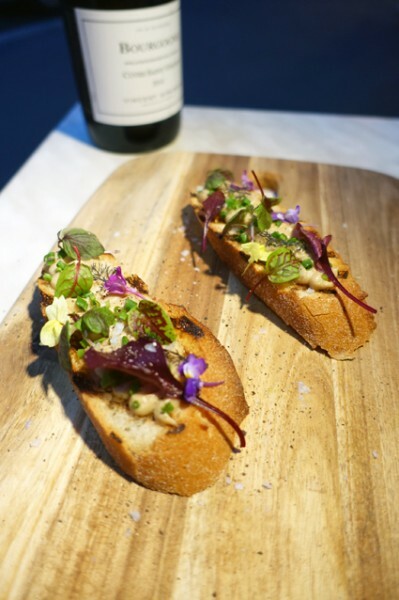 Well-decorated Toasted Baguette with French Onion Crème ($4) help get our palates in the mood for comforting retro flavours; they’re like eating French onion soup on toast. 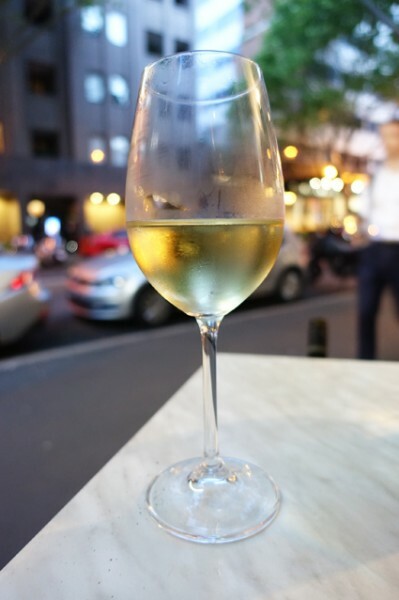 As we move onto the 2013 Vincent Girardin Chardonnay ($82/bottle) – a chardonnay with enough acidity to cut through that classic French richness - we’re entertained by the passing Potts Point parade. 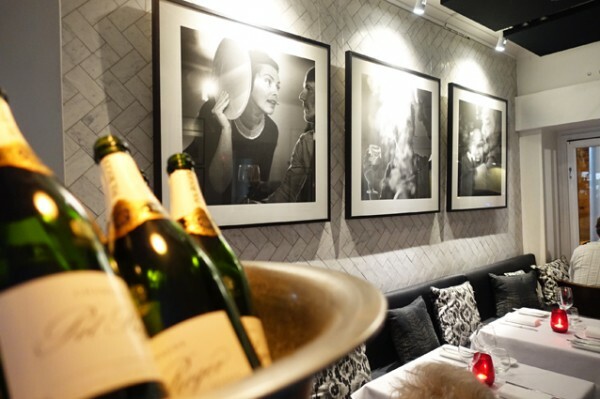 Times have certainly changed from the smoke-drenched days the dining room's photos conjure. 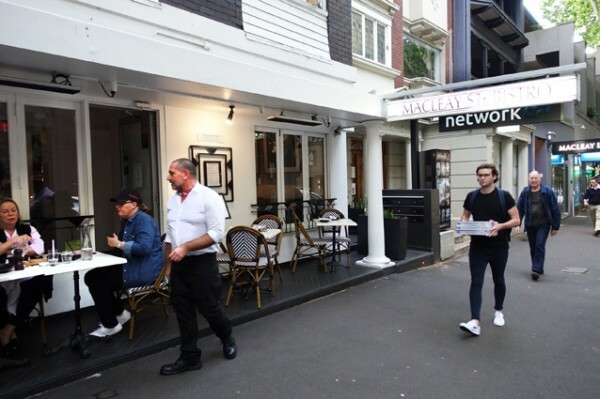 Macleay Street is now a steady stream of cultured retirees who have moved into the gentrified suburb to be within walking distance of all the institutions - the Art Gallery of NSW, the Australian Museum and the Sydney Opera House. Stefano Conti, himself a ten year veteran on the restaurant floor, greets half of them by name. 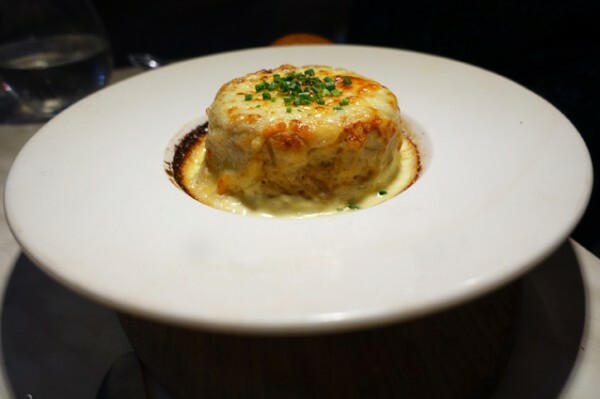 The French Onion Soufflé ($22) maintains good height despite being twice-baked, and eats better than I remember it. Natural sweetness from the onions juxtaposes well against Comte cheese and a little sourdough roll you can slather with truffle butter. 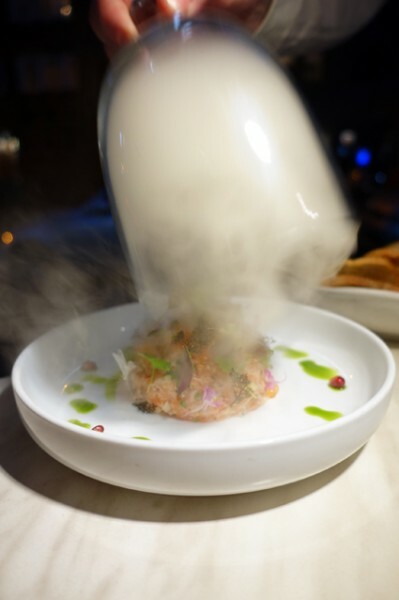 With a cherry wood smoke-filled glass cloche reveal, the Salmon Tartare ($24) has both fanfare and flavour. As the light fades, our waiter Páidi Murphy – himself a newcomer to this team - regales us with a story of a customer who demanded to book a certain table. With some difficulty in the small floor space, the correct table was arranged. When the customer arrived, they produced a photo of themselves as a baby lying on that very window banquette. 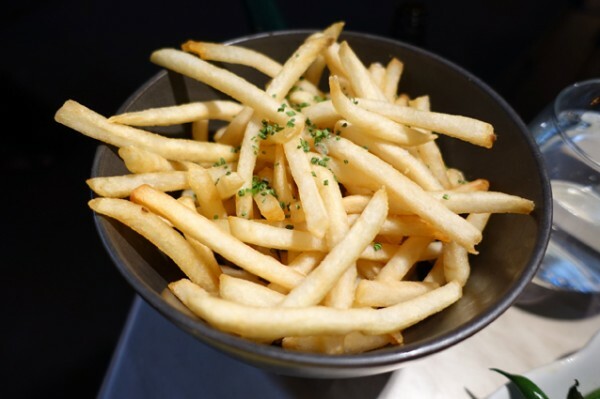 It illustrates the importance of history, and makes the perfect segue into a classic Steak Frites ($38). Today it's served on the bone as a 350-gram tasty beef cutlet, against rocket and pear salad, shoestring fries, assorted mustards and optional Anchovy Butter ($3). 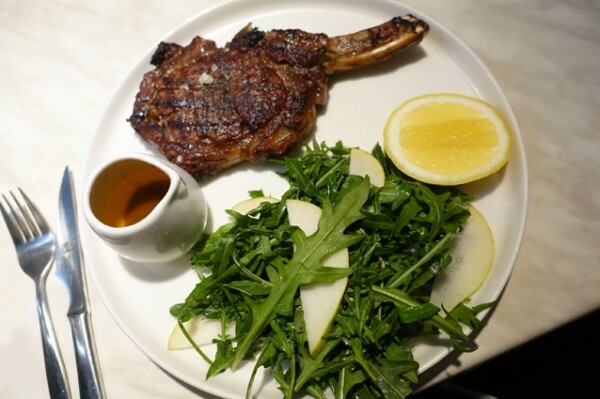 It’s technically impossible to fault – the pillowy soft steak has been rested beautifully, the salad is crisp and well seasoned, the Dijon mustard vaporous and enlivening, the chips crisp and oil-free. It’s the best steak frites I can ever remember eating. 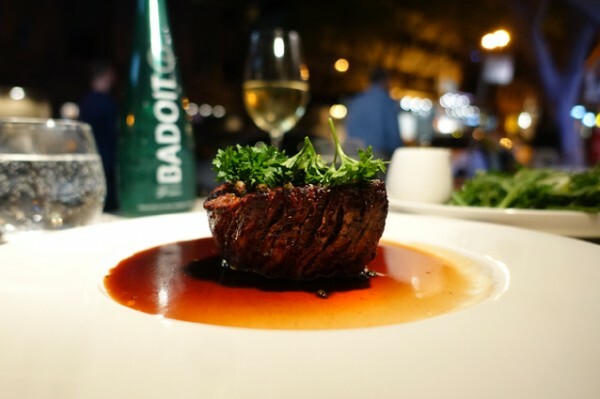 The technical expertise continues unabated into an Organic Grass Fed Eye Fillet with Parsley and Sauce Poivre 250g ($50) cooked to a perfect, well-rested medium rare. 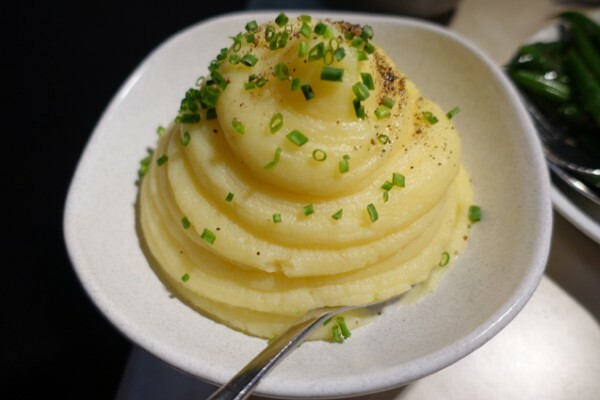 We take ours with a not-too-wicked whirl of Pomme Puree ($12) that avoids sinking into like a butter-soaked pat, and Buttered Green Beans with Shallots ($10). 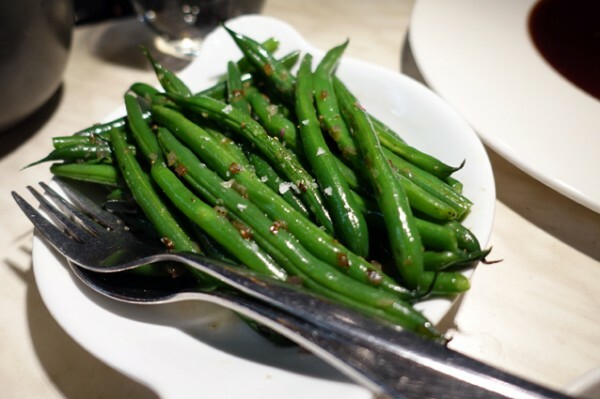 Once again, the cooking and seasoning is perfect, with crunchy flakes of sea salt contrasting against the juiciest, crisp, green beans in town. 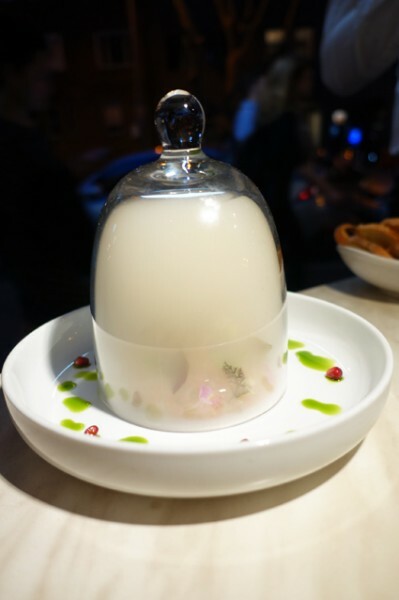 Two courses was more than enough to see me leave on a high. 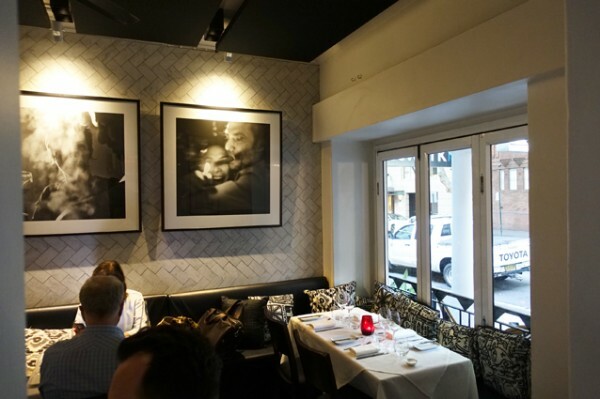 Macleay Street Bistro allows you to step back in time to when French was the best thing in town, and here, it still is. NOTE: You can see my previous reviews at this restaurant back HERE and HERE.